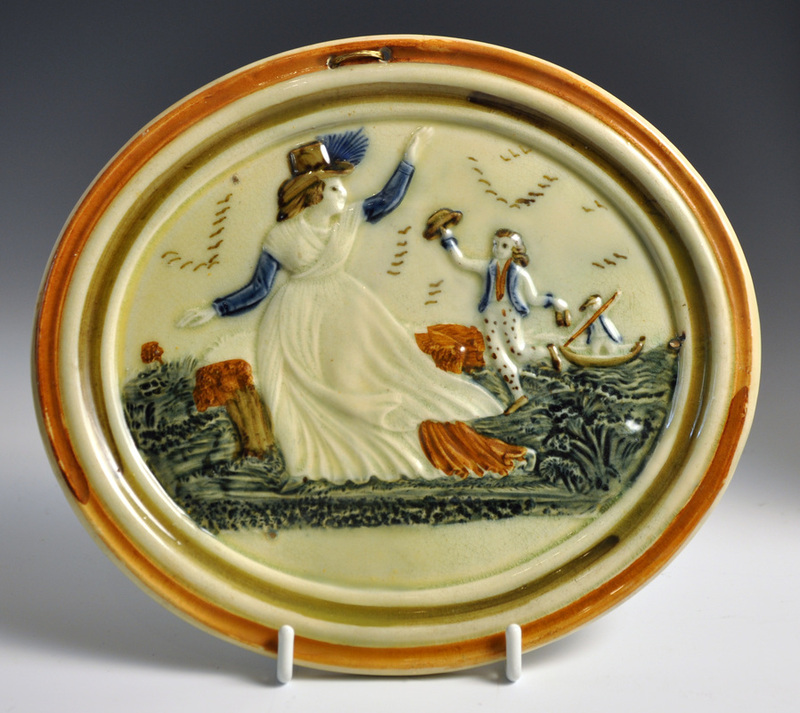 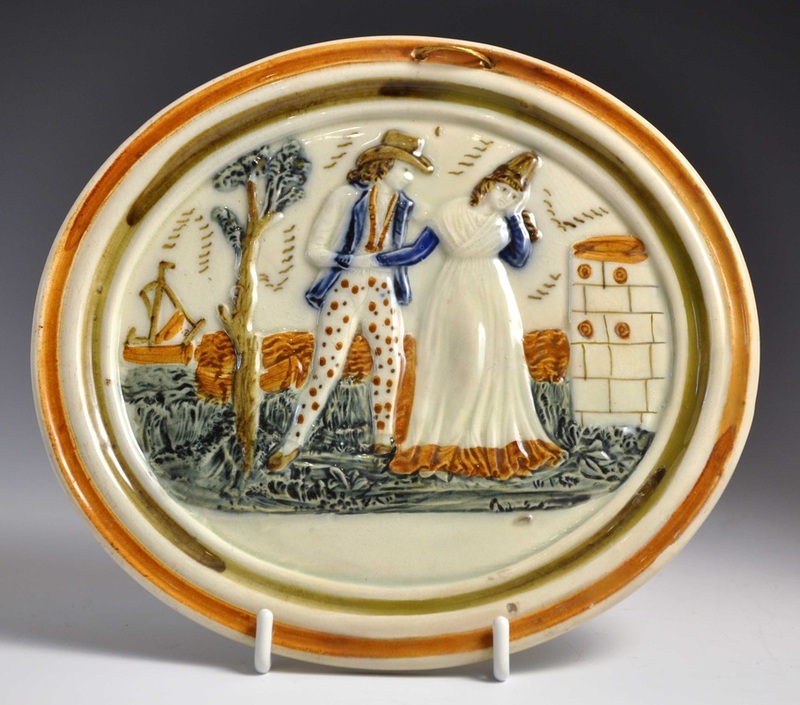 A pair of Prattware plaques showing the sailor's farewell and return, circa 1790. 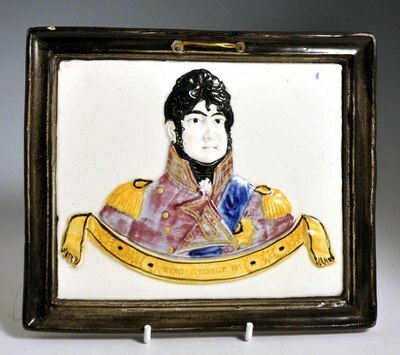 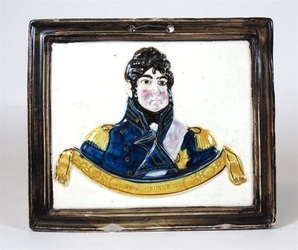 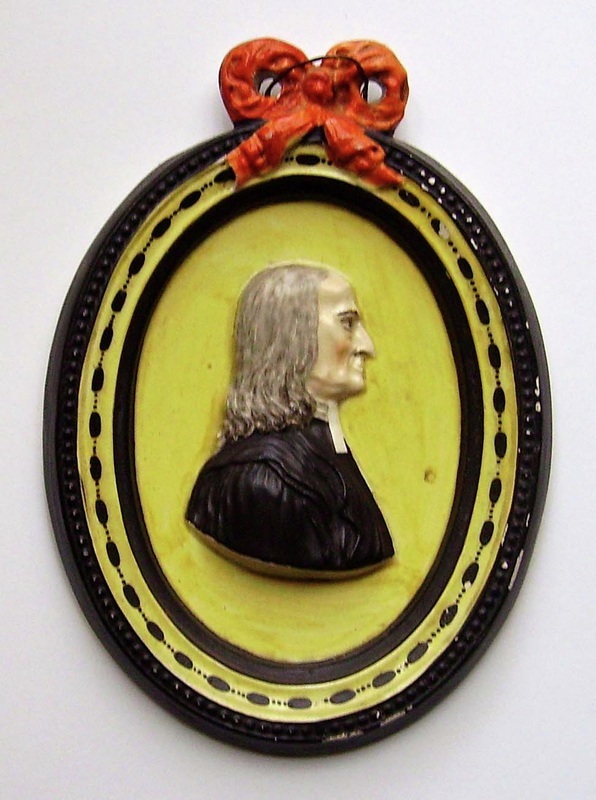 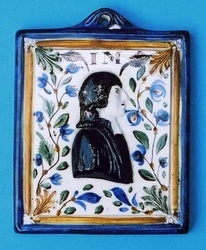 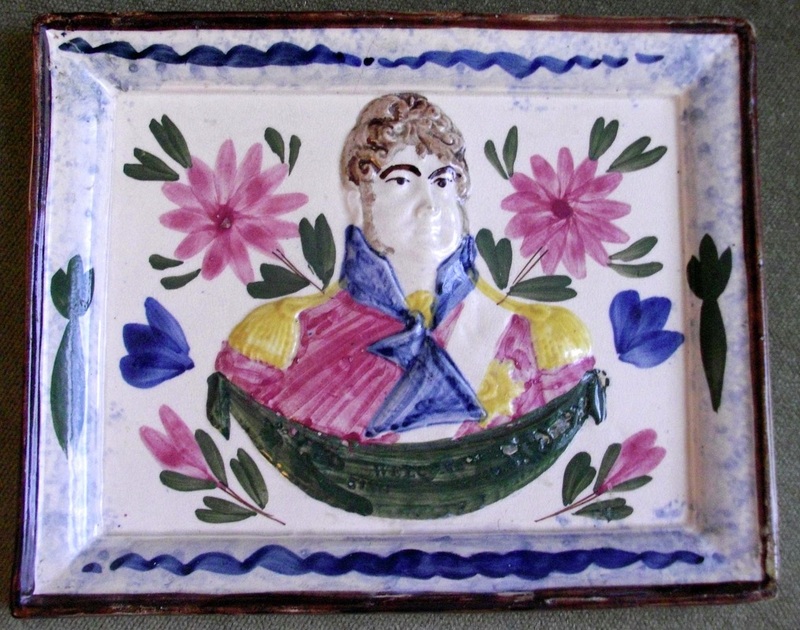 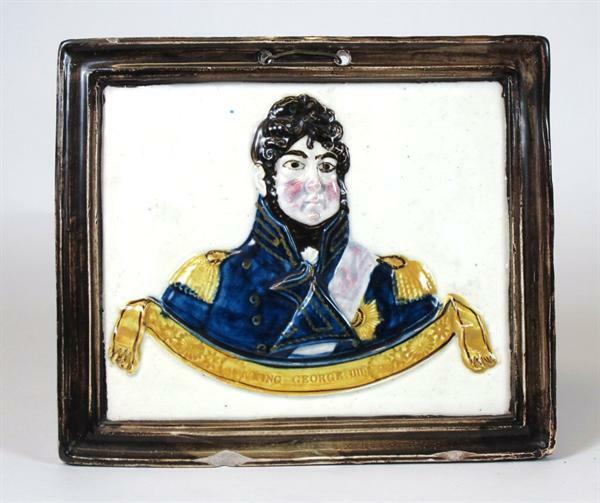 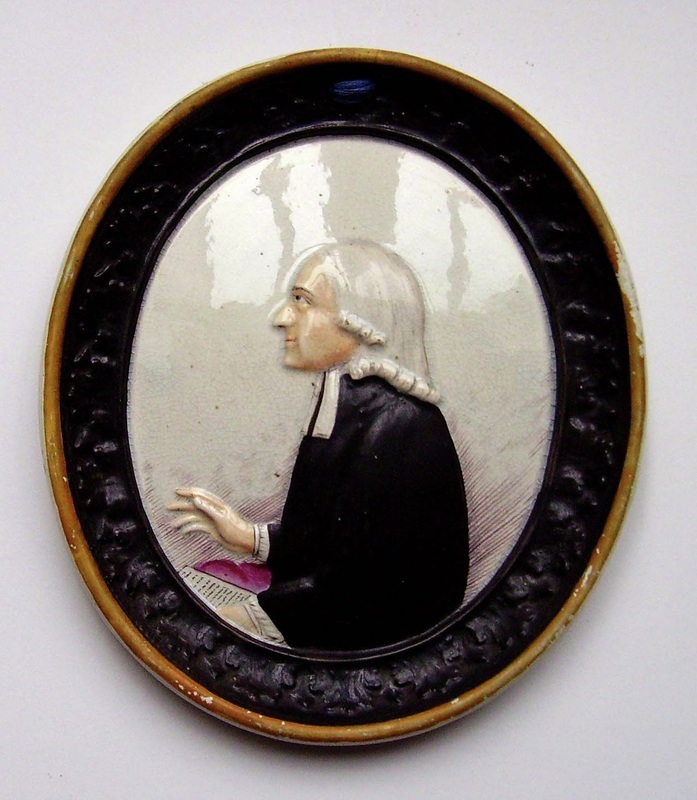 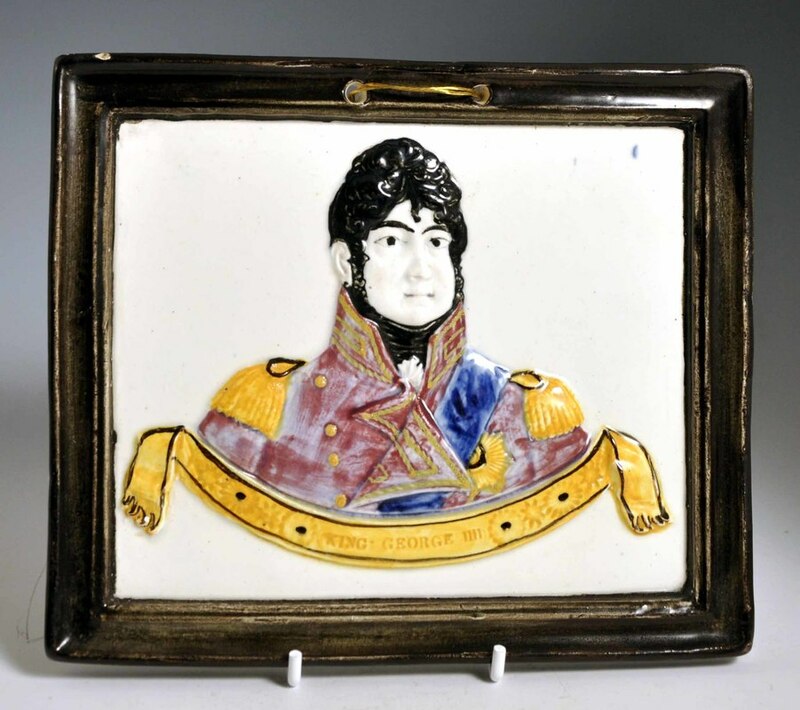 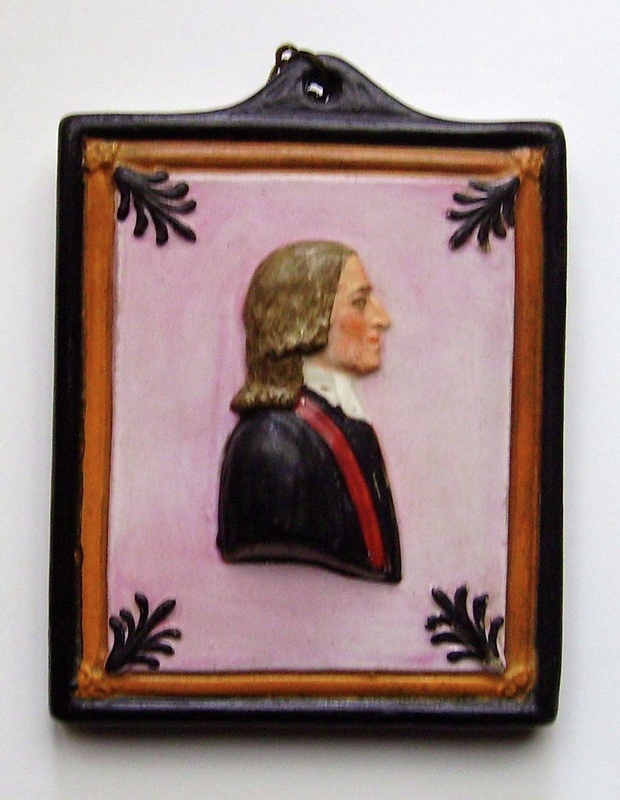 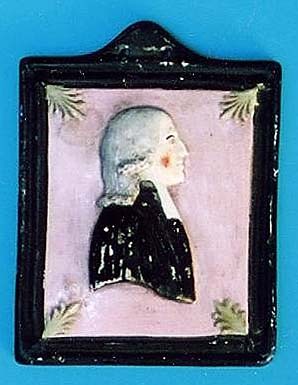 Your George IV relief moulded plaque with black border was produced at the Fife pottery in Kirkcaldy: two are known with incised makers' marks see [second photo]. 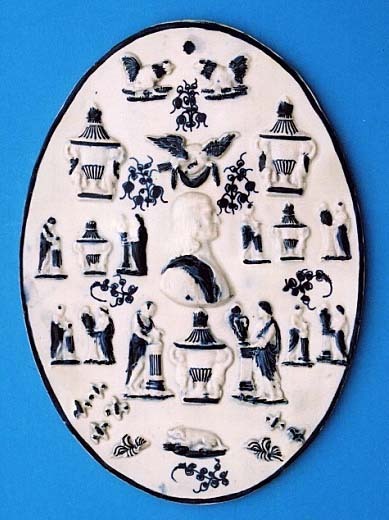 Other almost similar examples were produced by Rathbone of Portobello and almost certainly by the Caledonian pottery in Glasgow. 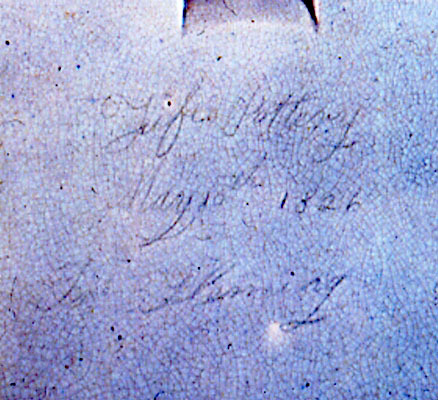 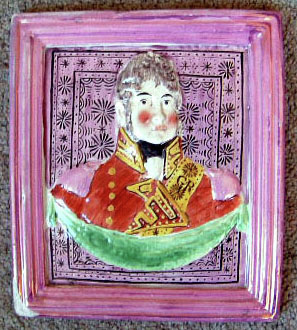 When George died the potters often tried to paint over George IV and then add William IV or some other text, sometimes in gilt. 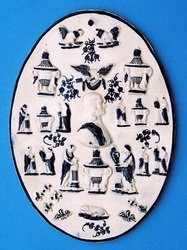 Often this has since been rubbed and you have to look hard for traces. 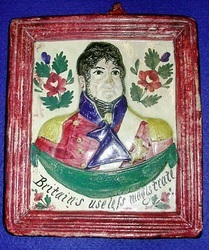 The third plaque with the words 'George IV WELCOME' to commemorate his visit to Scotland c1822. 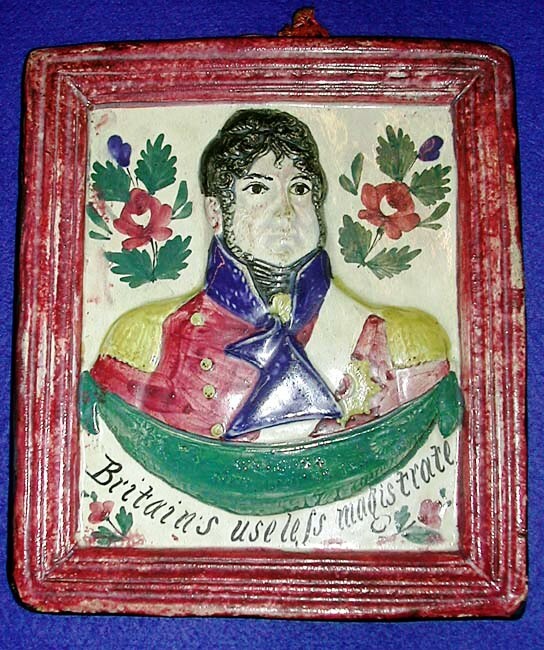 The centre plaque on the second row has the words 'Britain's useless magistrate'. 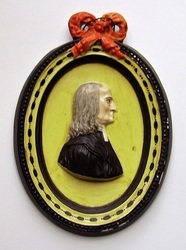 The pink lustre plaque below has the date 1821 inscribed on the reverse.